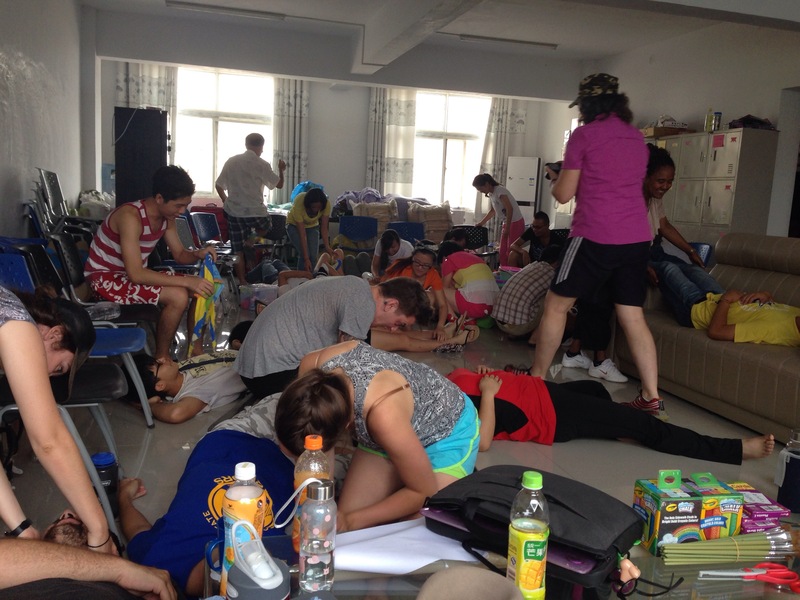 First aid training for counselors at camp in Lijiazhai, Henan for the Mei Wen English Summer Camps this summer. We covered cuts, sprained ankles, concussions, and heat exhaustion and what to do as first responders until trained medical personnel arrive. Thanks, Mim! ← Check out this beauty!